Some two dozen countries are already classified as water-scarce, and this-as areas as diverse as Israel, southern California and even the Netherlands know - is not a problem confined to the South. 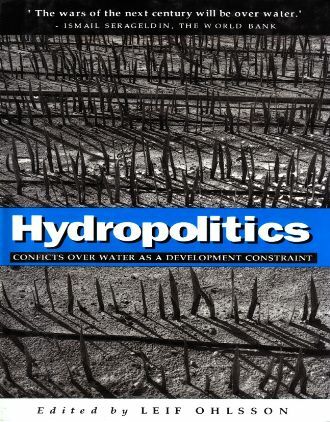 Already, as this book shows, fresh-water shortages are becoming a major cause of conflict both domestically and between states. In the future, the growing world population, further spread of irrigated agriculture and industrialization will all make increasing demands on scarce water resources. Conflict resolution capabilities in many parts of the world will be sorely stretched. 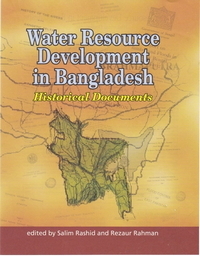 Written by scholars from a wide range of disciplines - hydrology, international relations, development studies, conflict resolution and anthropology, this book addresses two major themes: water availability as a constraint on development and water scarcity as a source of international conflict. As well as a major overview of the global situation and problems involved, there are authoritative case studies of particular river systems in three continents, including the Nile valley the Tigris and Euphrates, the River Jordan, the Mekong and several cases from South Asia. 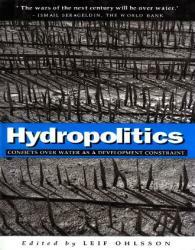 In a concluding chapter, the internationally renowned water experts Malin Falkenmark and Jan Lundqvist argue for the development of wholly new ways of conceptualizing the problems of fresh water scarcity, as well as for new ethical assumptions and innovative strategies relating to water management in the future.